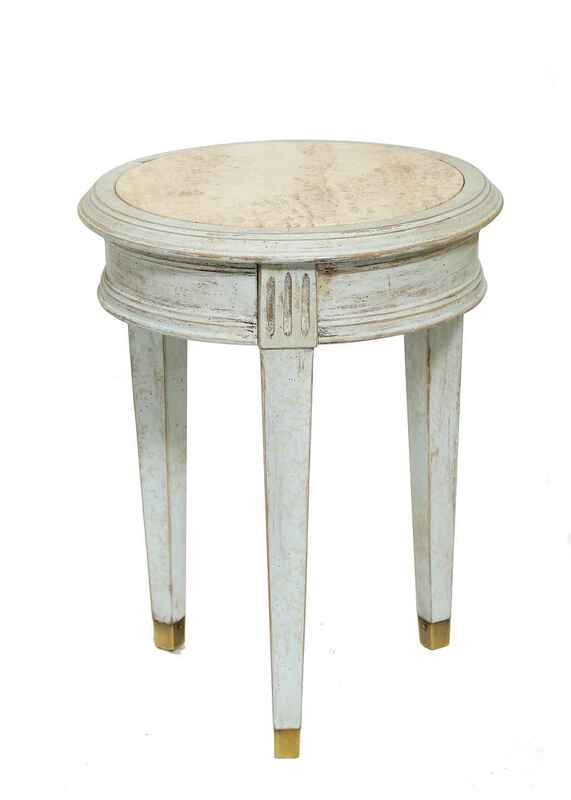 Accent table, having a light blue painted finish, showing natural wear, the travertine top inset into molded frame, on fielded apron, raised on tapering, square-section legs, ending in brass cups. Metal tag "Brandt" on underside. 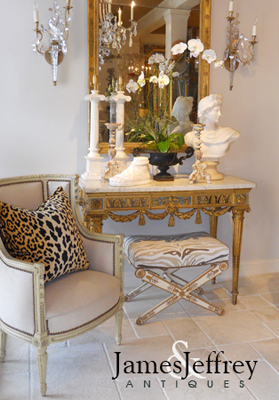 Accent table, having a light blue painted finish, showing natural wear, the travertine top inset into molded frame, on fielded apron, raised on tapering, square-section legs, ending in brass cups. Metal tag "Brandt" on underside. CONDITION: Excellent. Desirable wear to finish.